Adorable with their summer outfits and sunglasses. I want to go to Cheese World too! 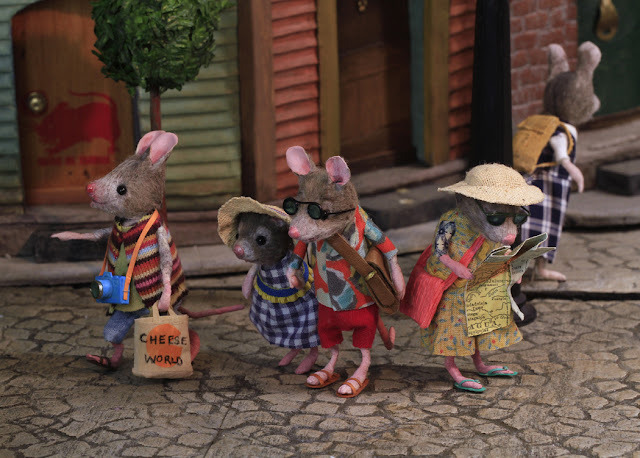 Good to see that the mice get a vacation too. They deserve it! Super cute as always. I especially love their little sandals and flip flops! LOL! You know they are touists when the map comes out. So gorgeous. Hello Netherlands here ..i love your mice do you have a video tutorial how i can make these lovely mice?